Dance as a precious experience and knowledge of the body and life. Koldo was born in Bilbao (Basque Country) in 1983. He started dancing in Barcelona at the age of 20. After some years taking ballet and release-based lessons and improvisation courses he moved to London, and now lives in Bilbao. He studied for one year in The Place. He has lived in Amsterdam and studied at the SNDO (School for New Dance Development) for two years. As a dancer he has worked for Chrizstina de Chattel, Deborah Hay, Angels Margarit (Mudances), Rodrigo Sobarzo, Jesús Rubio Gamo and Errequeerre Danza among others. He has taken part in Jérôme Bel’s renowned The show must go on (2015). Koldo has developed his own artistic work since 2010, performing his solo piece, Volver, and the duet with Marina Colomina Rocio y Nino in Spain, Portugal and the Netherlands. In recent years Koldo has teamed up with Angela Peris Alcantud performing ALLES, a piece of dance and music for children, and together they created A shameless body, a piece about adolescence (2017). 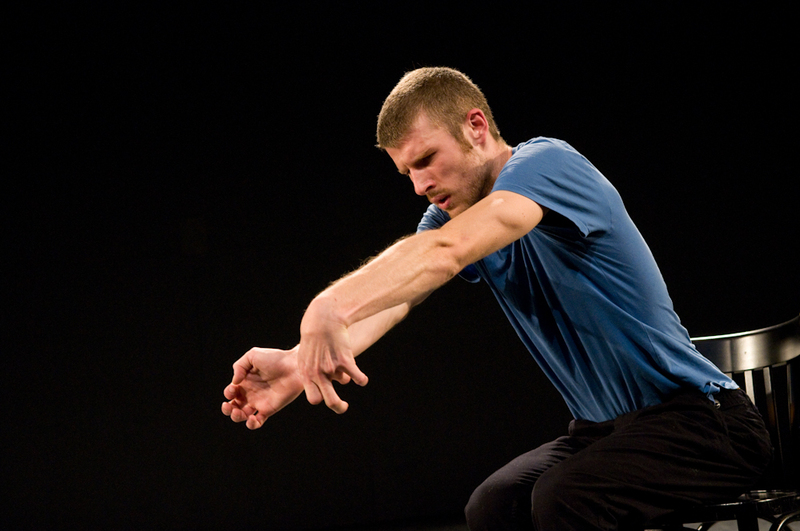 Currently living in Bilbao, he is interested in the different ways to meld voice and body, music and dance. Finding the multiplicity of the body on the scene and its infinite ways to express.